← Kid Hits UNBELIEVABLE Shot… Twice. My wife’s family from Kansas was here this weekend… they asked for a pancake. I obliged. 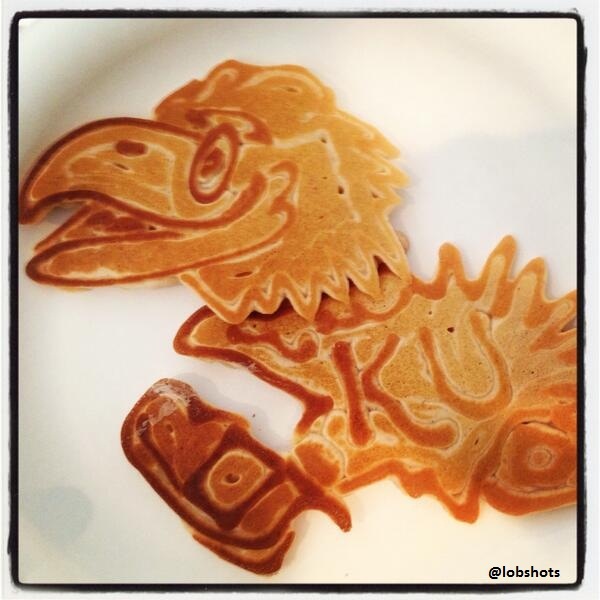 This entry was posted in ART, Basketball and tagged jayhawk pancake, jayhawks, kansas, ku pancake, rock chalk, Rock Chalk Pancake. Bookmark the permalink.